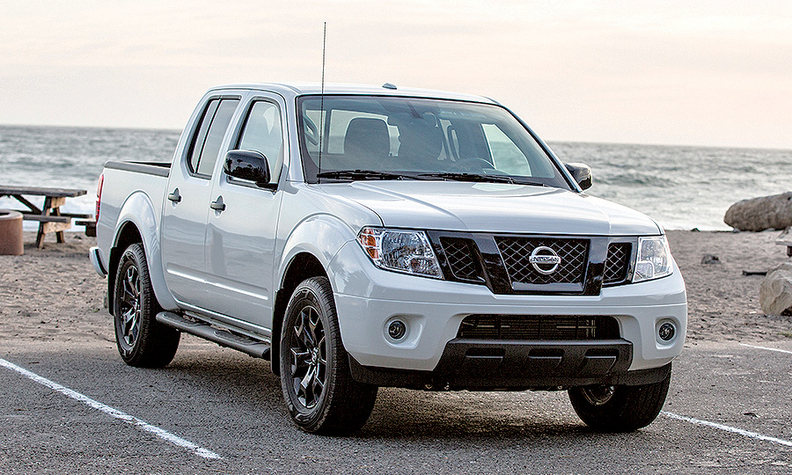 Oldie but goodie: Nissan's Frontier has been selling, but new challengers are emerging. Nissan, which helped spark the American midsize pickup market decades ago, will launch a full redesign of its aging Frontier next year. It arrives as Nissan's competitors — in Detroit and beyond — have regrouped and raised the stakes for the segment, once thought of as a commodity area for budget shoppers. Nissan has been lagging of late. Even though company executives have proclaimed their intent to carve out a larger piece of the U.S. pickup market in recent years, the Frontier has not received a major redesign since 2004. And the new version is still another 18 months away, according to sources briefed on the company's plans. Sold as a 2021 model, the redesigned Frontier could come as early as September 2020. Despite being overdue for a redesign, the pickup was still the brand's third best performing light truck after the Rogue and Murano crossovers last year. The aging Frontier has remained as attractive as it is through competitive pricing, said Billy Hayes, Nissan North America division vice president of regional operations. "There's a lot of heritage in the Frontier," Hayes said. "It has almost a cult-like following." Indeed, back when Nissan was still known as Datsun in the U.S., its then-small pickup was a full-on success. It was the first vehicle that Nissan dared to build in the United States, starting in 1983. Today's Frontier is the direct descendant of that 1983 U.S. manufacturing plunge by the automaker, having inched ever larger and more powerful through decades of model changes and enhancements. The Frontier is the only pickup that sells, on average, for less than $30,000 in a segment where the average transaction price last year was $32,800, according to J.D. Power. But sales of the Frontier for the first three months of this year were down 11 percent from the same period a year ago, to 20,221 units. A year ago, Nissan dealers did not have to contend with the Ford Ranger or the new Jeep Gladiator. The company now hopes to get back into the game. The next-generation Frontier, described as "futuristic," will receive a major overhaul in body style and powertrain. "It's modern, but it still looks like a truck," a source said of the new version. "This still looks like something a truck guy would want." A new V-6 engine making roughly 300 hp will replace the current Frontier's 4.0-liter V-6. Its five-speed automatic transmission will be replaced with Nissan's newer seven-speed automatic. But it won't do what all of Nissan's other midsize pickups around the world have done — it won't join the global Navara platform. Nissan released an updated Navara platform in 2014, and it has launched in various markets around the world in the years since — but not in the all-important U.S. truck market. Instead of embracing that platform, the next U.S. Frontier will use a heavily updated version of its current — and older — F-Alpha truck platform, a source said. That decision was made partly because of cost and size issues. The Navara has a more expensive rear suspension setup that uses coil springs, rather than simple and lower-cost leaf springs. Americans also have larger size expectations than buyers in other markets, said Ed Kim, an analyst with AutoPacific. "Navara is a smaller truck than Frontier," Kim said. "It makes more sense for Nissan to re-engineer the existing Frontier platform than spend significant money and resources to up-size the Navara platform and develop a new North American truck from it." Regulations also played a role in Nissan's decision. "The decision to put a product into a market requires a significant investment," Hayes said. "It's not that easy just to bring a product from another market into the U.S."
The segment is doing well, which is one reason for the Detroit 3's new interest in it. Midsize pickup sales finished 2018 at 524,231 vehicles, a 16 percent year-over-year gain, according to the Automotive News Data Center. Despite a setback so far this year, Frontier sales rose 7.1 percent last year to 79,646 units. It outsold Nissan's full-size Titan by nearly 30,000. 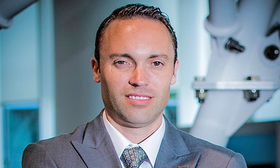 Midsize pickups represent one of the few industry spots that still have growth, said Tyson Jominy, managing director of the Power Information Network at J.D. Power. But some of that sales momentum is fueled by a 55 percent increase in incentive spending, Jominy said. The next Frontier will arrive in a more crowded market that includes new entrants from Ford and Jeep. Despite last year's volume increase, the Frontier's market share dropped to 15.2 percent last year from 16.4 percent the prior year, according to AutoForecast Solutions. Sam Fiorani, AutoForecast vice president, believes the Frontier's third-place standing behind the Toyota Tacoma and Chevrolet Colorado is at risk once the new Ford Ranger is at full speed. And the new Jeep Gladiator has the potential of pushing the Frontier even further down in the rankings, he said.